A Professional Premiere Harpist with over 25 years experience! Resident Harpist Fairmont Banff Springs Hotel & Resident Harpist Chateau Lake Louise. 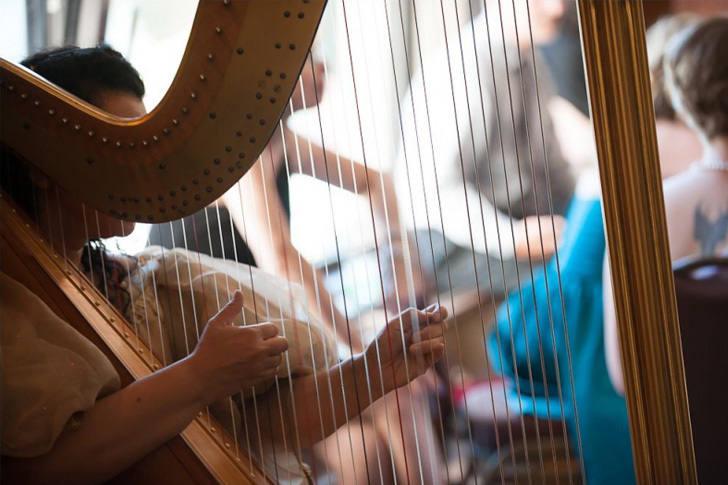 For wedding music, the harp is very elegant and romantic & will create a magical impressive atmosphere for your wedding. 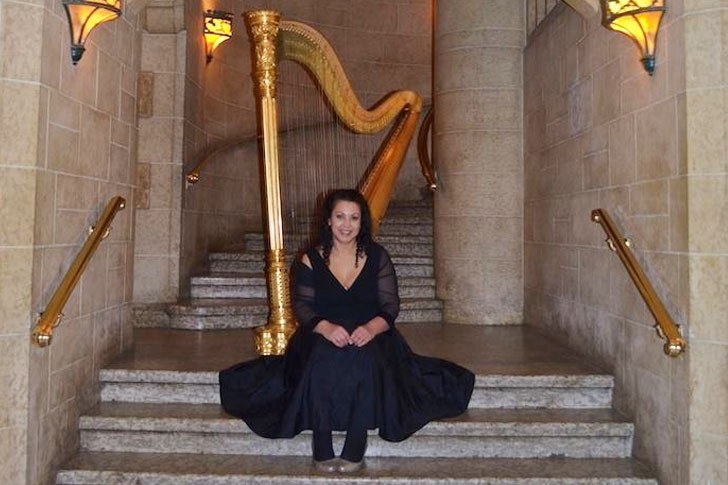 Harp Angel – Harpist of Banff, Lake Louise, Calgary performs throughout the Bow Valley, Canadian Rocky Mountains and world-wide. Ambient background harp music played on Harp Angel harpist’s gold antique grand harp will be sure to impress your guests! 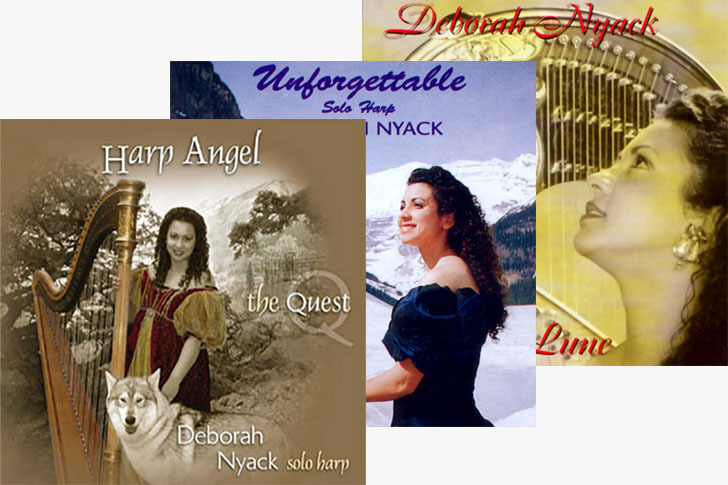 One of the most famous & outstanding harpists in the world today, Deborah Nyack Harp Angel harpist brings you the best in harp music! Thank you for being the harpist at my wedding in Banff. You are the best harpist we have ever heard and we loved that you could play all our music requests! For wedding music, the harp is very elegant and romantic & will create a magical impressive atmosphere for your wedding. 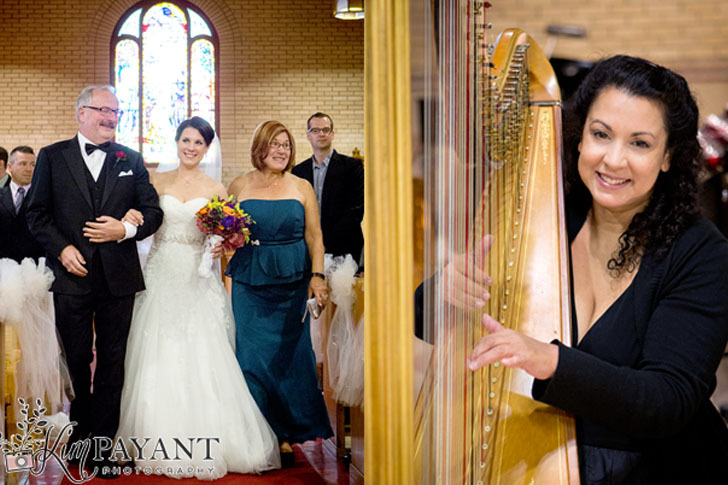 Harp Angel harpist provides harp wedding music for the wedding ceremony and/or wedding reception! 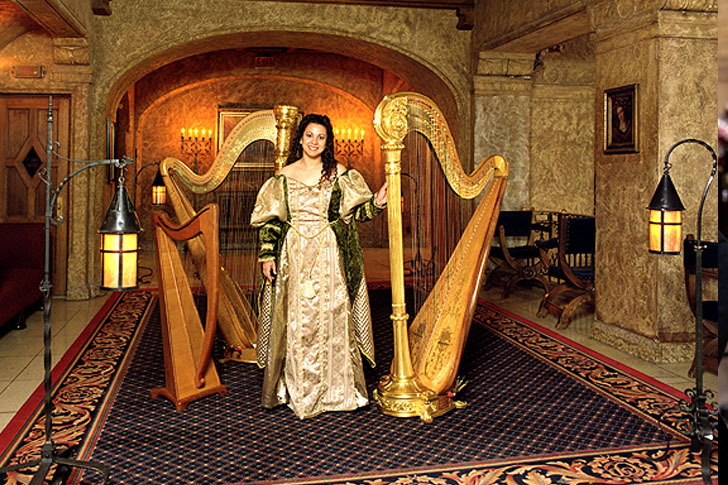 Deborah Nyack, Harp Angel – Harpist of Banff, Lake Louise, Calgary performs throughout the Bow Valley, Canadian Rocky Mountains and world-wide. 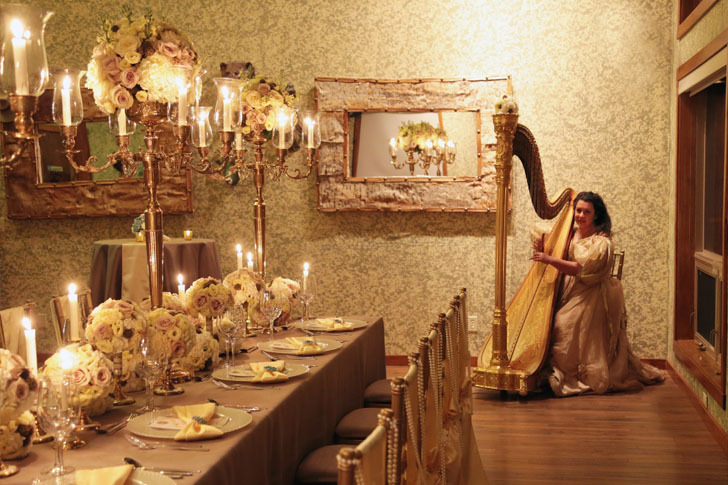 An assortment of photos, videos and sound clips to help you visualize your own special event accompanied by Harpist Deborah Nyack. If you’re looking for soothing harp music to help you relax and unwind, relieve stress, or to heal your heart and soul with the pure sounds of solo harp, then you’re in the right place! Internationally acclaimed harpist Deborah Nyack, the Harp Angel, is heralded as “the Stradivarius of Harpists” (New Yorker, NY). Deborah would love to work with you to make your wedding or other special event a memorable one!